I am THAT woman…the woman that doesn’t read directions. Need a shelf assembled? No problem! I just grab the pieces and start assembling. Warning labels are a whole different thing. If there is a warning label I am sure to read it. I need to know if there is the possibility of choking, death, growing a third arm, or anything like that. I like to know the risks, not the how tos. 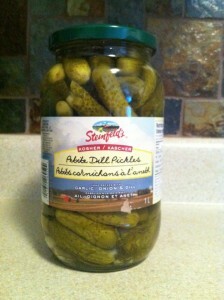 I don’t know when the pickle was invented, but I am pretty sure that a carb depleted Figure Competitor invented them. Very little carbs, tasty as can be, and they go with everything. Why she didn’t create a warning label for them, I am not sure. They look so safe! And Kosher? Doesn't that mean everyone can and should eat them? Since she neglected to write the warning label, I wrote it for you. It was the Figure Competitor’s version of showing up at school in your underwear. 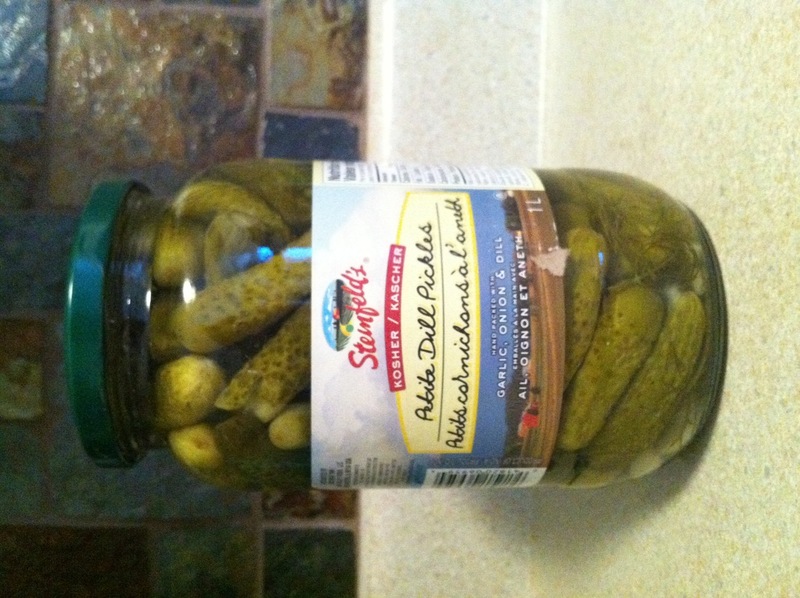 Pickles…who knew they could cause such torment? Ha ha ha! I will make sure to not eat them before bed and only enjoy one or two as a garnish! LOL – Ive had that exact dream! Or the one where I turn up with no bikini .. or the one where I turn up and completely forgot about the show and havent dieted! Hahahahahahaha! I prefer the Klausen pickles myself. Oddly enough, I’ve never had the “go to work without pants” dream until last night. I think it was THE night for strange dreams. HAHA! I LOVE pickles too. We always have them in the house. Yum!